Diary of an Advertising girl: Gypsies: the most discriminated against ethnic group on earth. Gypsies: the most discriminated against ethnic group on earth. 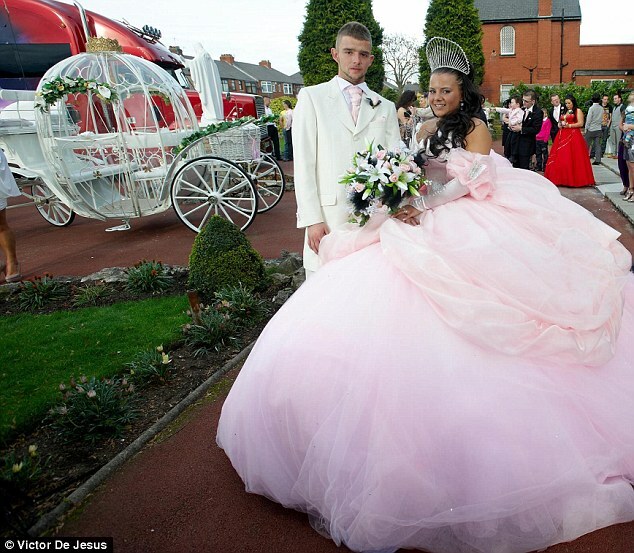 Recently everyone has been enjoying watching a programme called "My Big Fat Gypsy Wedding". I myself have watched a couple of episodes. First to laugh at the huge dresses, secondly to marvel at the children's dancing. But the last episode I watched really got me thinking. It showed scenes of gypsy homes being torn down after a community of gypsies who actually OWNED the land were denied planning permission after a lengthly court fight. Yes, that's right. They OWNED the land. What's more is that they were now homeless and were forced to take their caravans with their toddlers to stay at the side of a motorway. How unsafe. The gypsies complained that this would mean that they were separated from their neighbours and family members and that they didn't want to be offered housing in council estates by the government for this very reason. As has been said, (see Introduction) before the enactment of the Criminal Justice and Public Order Act 1994(CJPOA), local authorities had a statutory duty to provide caravan sites for Gypsies and Travellers under the Caravan Sites Act 1968 (CSA). However, the CJPOA 1994 removed that duty and gave local authorities and the police draconian powers to evict Gypsies and Travellers from unauthorised sites. At the same time that the CJPOA 1994 was passed, the government introduced planning policy which favoured the private provision of sites for Gypsies and Travellers. Circular 1/94 Gypsy Sites and Planning (Circular 1/94-in Wales, Welsh Office Circular 2/94) stated that Gypsies and Travellers should be ‘encouraged’ to purchase land themselves and apply to legitimise their own sites through the planning system. In theory, requiring Gypsies and Travellers to use the planning system would seem an equitable approach but for this policy to be credible there had to be some real prospect of obtaining planning consent for private sites. The House of Lords cast doubt on the effectiveness of this policy in South Bucks v Porter, Wrexham CBC v Berry, and Chichester DC v Keet and Searle. The judges observed that Gypsies’ and Travellers’ attempts to obtain planning permission almost always met with failure: statistics given to the court found that 90 percent of applications made by Gypsies and Travellers had been refused and that the number of sites that had been authorised had fallen far short of what was needed. Circular 1/94 suggested that local planning authorities should assess the need for Gypsies’ and Travellers’ caravan sites in their administrative areas and identify locations where the land use requirements of Gypsies and Travellers can be met. If suitable locations could not be found, then local authorities were required to set clear and realistic criteria for establishing caravan sites. However, very few local authorities complied with the policy in Circular 1/94. Little attempt was made to quantify the needs of Gypsies and Travellers and few, if any, local authorities identified suitable locations for such sites, preferring instead to adopt criteria-based policies which often included unrealistic and unclear requirements that had to be met before planning permission could be granted. It seems that local governments are doing little to help the problems of this group of people. The site also details many other cases where gypsies were discriminated against. In fact in one of the episodes in "My big fat Gypsy wedding" gypsies talk about the fact that when venues find out that a wedding is a gypsy one, they suddenly are told they cannot have the venue. Sometimes meaning much-dreamed of weddings have to be reorganised at the last moment. The Romani were enslaved for five centuries in Wallachia and Moldavia, until abolition in 1856. Elsewhere in Europe, they were subject to ethnic cleansing, abduction of their children, and forced labor. In England, Romani were sometimes hung or expelled from small communities; in France, they were branded and their heads were shaved; in Moravia and Bohemia, the women were marked by their ears being severed. In Norway, where a law was passed in 1896 permitting the state to remove children from their parents and place them in state institutions. This resulted in some 1,500 Romani children being taken from their parents in the 20th century. During World War II, the Nazis embarked on a systematic attempt at genocide of the Romanies, a process known in Romani as the Porajmos. Romanies were marked for extermination and sentenced to forced labor and imprisonment in concentration camps.They were often killed on sight, especially by the Einsatzgruppen (mobile killing units) on the Eastern Front. The total number of victims has been variously estimated at between 220,000 to 1,500,000; even the lowest number would make the Porajmos one of the largest mass murders in history. An official inquiry from the Czech Republic, reported: "the problem of sexual sterilization carried out in the Czech Republic, either with improper motivation or illegally, exists" with new revealed cases up until 2004, in both the Czech Republic and Slovakia. I'm pretty shocked. It seems to me that the mockery inherent in this new programme "My Big Fat Gypsy Wedding" which is currently airing in the Uk is just another example of a group being targeted for discrimination. The title is mocking, the music is mocking. The narrator is mocking. Even the children are mocked, My friend who works in a Secondary School in East London says that she has taught some traveller (Gypsy) children and is shocked by the amount of abuse and discrimination against them that she has seen. What can we do to help? Im not sure really. But I've written a post of Facebook bringing these issues to light. I've written this post on my lowly blog. And I'm posting the link of a support and campaigning organisation. If I hear of any petitions in my local area against Gypsies I will not sign them. If I hear of any demos in support of their sites being given planning permission I hope to be able to support them. Please think about doing the same. Well done. Gypsies and Travellers dont want sympathy or semi mocking documentaries on the excesses of some of their communities. See the Traveller Times on Facebook for what they really think of the programme but I doubt the Mail would be interested or even print their comment. More well informed articles like yours outside of the well meaning liberal press will go a long way to countering the lies and prejudices encouraged by the racists and Gypsy baiters and haters. Here's another article on the subject by The Guardian. I'm really pleased that the Guardian has written at least two articles on this issue giving a sympathetic listening ear to this community. A recent YouGov poll reported that even Sun-readers recognise the level of discrimation directed against Gypsies and Travellers (http://today.yougov.co.uk/sites/today.yougov.co.uk/files/YG-Archives-Life-Sun-Discrimination-190111.pdf). Well the Sun is more left wing than the Daily Mail. Thanks for posting this link though. I think its a very interesting discussion.